Welcome to A Sampling Bee! 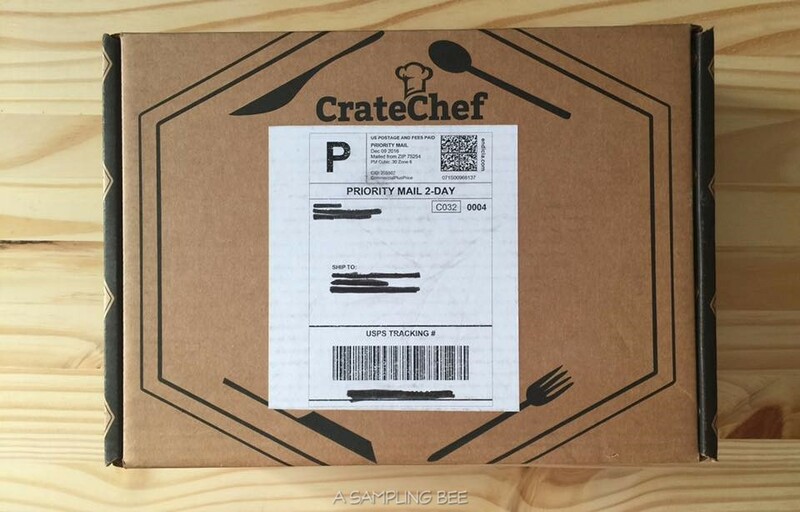 Today, I share with you a new chef curated CrateChef Subscription Box! 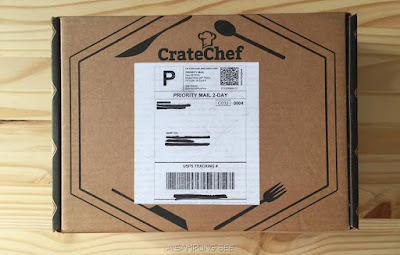 Introducing the December/January CrateChef Box!... 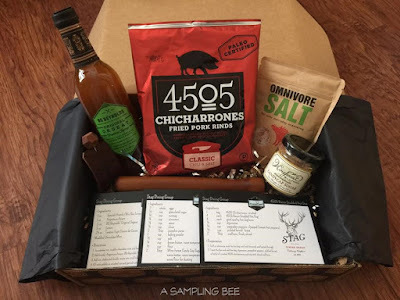 This month's box was curated by 3 chefs from Stag Dining. 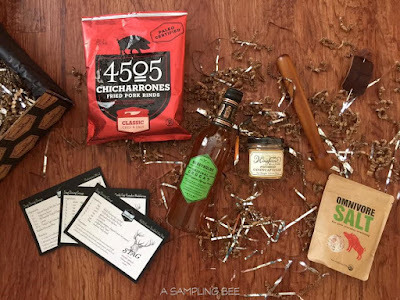 They have teamed up with CrateChef to bring us some of their favorite products. Check out what's inside the Dec/Jan. box below! Classic Chicharrones from 4505 Meats- Kettle cooked pork skins are sourced from a collective of small family farms. This savory snack is the perfect sidekick to beer, cocktails, or sparkling libations. Candy Cap Sugar from Wine Forest Wild Foods- This rare West coast mushroom has an intense maple flavor and aroma. Hence why is called the "dessert mushroom." Use this amazing sugar as an ultimate finishing touch for crème brûlée. Sprinkle on fruit or oatmeal, too! Meat Tester from Town Cutler- You'll need this tool to grill a fabulous steak, prime rib or tenderloin. This tester allows you to make sure that your meats are cooked to your liking. Can also be used to check cakes or brownies. Town Cutler specializes in high-end cutlery and professional culinary goods. Made in the Bay Area. Classic Seasoning Salt from Ominvore- A classic rub for grilling or roasting that is also a versatile cooking and finishing salt. Ominvore Salt is a delightful blend of organic spices and natural sea salts, harvested from the salt beds off the coast of znorthern California. Orgeat Cocktail Syrup from BG Reynolds- Lovingly made from scratch, this syrup can make cocktails not so complex to make. This French sweetener is made from almonds and cane sugar. Delicious mixed with alcohol or coffee. Can also be used I. Waffles or pancakes. Cocktail Muddler- Mixologists know that to create a truly sublime drink it's necessary to use real fruit, herbs and spices. To release those flavors, it's necessary to smash- or muddle- them at the bottom of a glass.use this sleek wooden muddler to make the perfect mint julep or mojito. Create an incredible unforgettable meal with the goodies in this box! The meat tester allows me to cook my steaks to perfection. I have also used it to test a cake. It's works wonders! The Omnivore Salt allows me to season my steak or porkchops perfectly. I use this salt on a daily basis. Use the muddler to squish some fresh fruit for a daquiri and line the rim of the glass with somew Candy Cap Sugar. I added a splash of Orgeat Cockatil Syrup to my coffe and it gave my coffee a sweet, nutty taste. I like using this in place of regular sugar. I enjoyed all of these products from the chefs. Chef Ted Fleury, Chef Matthew Homyak and ChefJordan Grosser sure picked amazing items for their CrateChef box! Subscribe today!